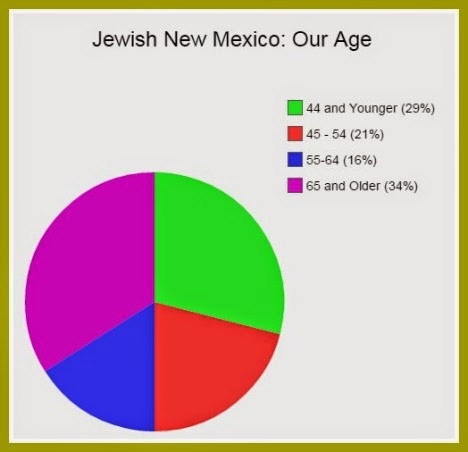 Community of 12,000 in Placitas: As you know from Abq Jew's previous blog post, NM Jewish Population Survey Results Announced, preliminary results of the only established permanent floating Jewish Population Survey in New Mexico have just been released. And the number we've all been waiting for: 24,000. 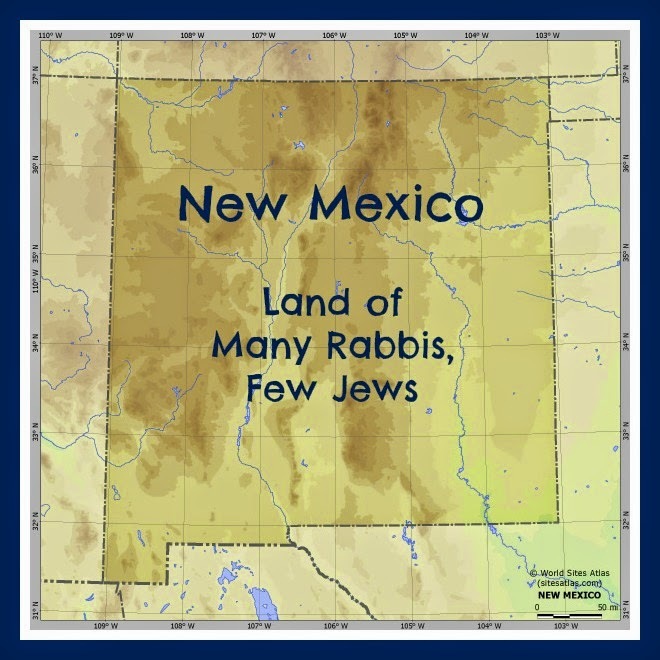 24,000 Jews live in New Mexico. And if you've been following too (you have, haven't you? ), you know that the beautiful and talented Scarlett Johansson has nothing at all to do with the JFNM Population Study. By one estimate (see Drasha Diamond Number 1) there are 12,000 Jews and twenty-four (24) ordained rabbis who currently reside in the Land of Enchantment. The important take-away here is that the crucial NM rabbi-Jew ratio has also doubled. There is now one rabbi for every 1,000 Jews in our state. If you'd like to know more about SSRI, the American Jewish Population Study, and all sorts of similar things - and who wouldn't? - you can click here and here. Over 60% of American Jews live in just six states. 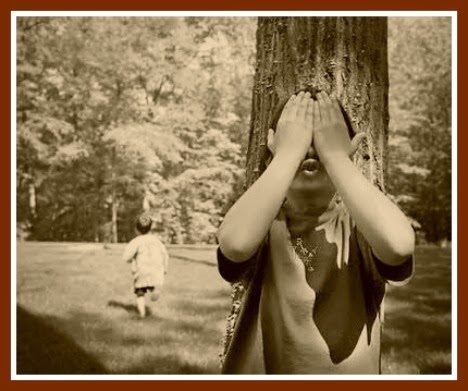 Four states ... are observable in everyday life: solid, liquid, gas, and plasma. Many other states are known such as Bose–Einstein condensates and neutron-degenerate matter but these only occur in extreme situations such as ultra cold or ultra dense matter. Oops! That was states of matter. SSRI is talking about states that matter: New York, California, Florida, New Jersey, Massachusetts, and Pennsylvania. Where are those 12,000 Jews we just found? According to the survey results, Jews reside throughout New Mexico, though most live in the Albuquerque and Santa Fe metropolitan areas. Abq Jew, you'll be very pleased to know, has figured out the answer. Think about it. Placitas is part of the Albuquerque metropolitan area, of course. 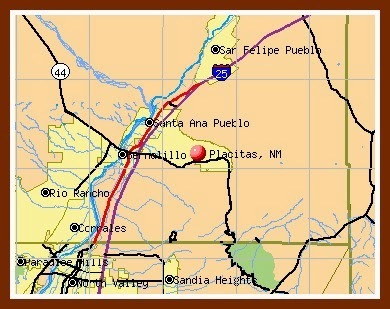 But (if you look at the map just right) it's also part of the Santa Fe metropolitan area. And the fact that the 2010 Census found Placitas to have but 4,977 residents only proves how well-hidden Placitas's Jews are. So why do we only have 30 +/- members in the Placitas Havurah?